Homeland to skip forward, return to overseas. More details have emerged on plans for the 8th season of Homeland. According to showrunner Alex Gansa, it will include a massive time jump and return to an overseas setting, ditching the President Trump allegories of season 7. Israel is where the series has its roots, based on Gideon Raff’s Prisoners of War. Gansa has been hinting that season 8 would be the last. Star Claire Danes recently said the same. But Showtime is yet to confirm the series will end. Homeland is screening on SBS. Showtime renewed Homeland to 2 season because it’s still rating reliably for Showtime at 1.25m, (less than 2.3m for the end of S2 but ok for something that isn’t GOT), which is facing problems with cord cutting. This gives CBS more time to develop more premium dramas for All Access before they decide on where they are going to focus for the future. Everyone figured when this was announced in 2016 that would be the end of show and they are writing it with that in mind. Danes, Patinkin and Gansa seem to think that 8 years is enough. If SBS didn’t buy the rights to future seasons, we may not see S8. What a cunning move by Showtime, keeping the speculation about the series going for as long as they can. 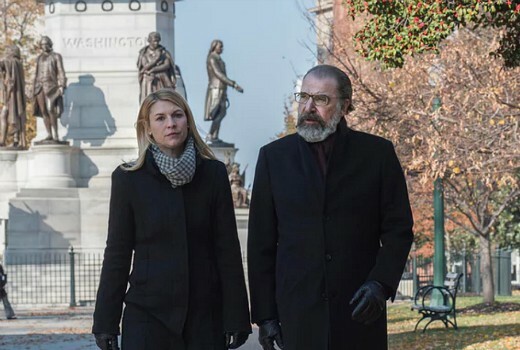 In reality there is no reason to conclude Homeland even if Claire Danes does leave the show, but I guess the time jump forward hints that that will be the case. Her and Brodie’s daughter as the new focus? I thought the same thing. I reckon it will like “Taken” where Carrie finally bonds with her daughter after traumatising her of all of her life.